Unmanned aerial vehicles (UAVs) or drones have been a part of modern warfare for the last couple of decades. Drones are cheaper than standard military aircraft and are piloted remotely. But can drones be used for mapping purposes? There has been an increase in recent years in the number of drones utilized for things such as mapping wildlife and monitoring the growth of crops. Other benefits could come about with the development of new computer software able to handle the thousands of images that these drones gather. Up until now, the process of creating a mosaic of hundreds if not thousands of orthorectified aerial images is extremely time-consuming. A conventional computer program has to analyze each image taken and figure out its exact angle and camera position in order to build a model of a piece of land. Computer software does this by looking at common features in adjacent photos and marking them with tie points. In an image of a cornfield, for example, it might use a corn plant that shows up in two photos. The computer then adjusts its calculation of the camera positions for all the photos at once so that the different images match up to produce one coherent projection of a tie point. From there, all the tie points can be projected onto a 3D model and a mosaic is created. The problem is that current software is only equipped to handle a few hundred images. Once the number of images is more than a thousand, the typical amount gathered by a drone, the process can take well over 1000 hours. To remedy the situation, computer scientist Mark Pritt, along with colleagues at Lockheed Martin in Gaithersburg, Maryland, developed a new algorithm to handle thousands of images and speed up the process. Their computer program takes the tie points from each photo and projects then directly onto a 3D space. This is without knowing the exact shape of the land or the position of the camera. Consequently, tie points do not always match up. The same corn plant could have two projections on the model. Creating a mosaic by stitching several orthorectified images. Source: Meo et al, 2012). When two tie points don’t match up, though, the computer program instinctively takes the middle point between the two and adjusts the camera position accordingly. It does this one image at a time, and once the software tweaks the camera position for all the photos, it repeats the entire process again to fix any errors that occurred. Overall, the result is that the process of analyzing images is sped up dramatically. What would have taken over a thousand hours can be done within 24 hours or less. Now that this new software can handle a higher amount of images, drones could see considerable action in mapping. They can be used to produce high-resolution images of crops that could inform farmers’ decisions of how to take care of their fields. They could also be utilized for disaster relief. If an earthquake strikes, drones could collect images of the affected areas for relief workers. 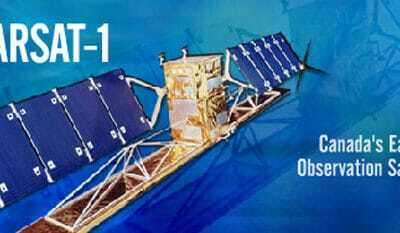 This could be done all at a cheaper price than the costs of using planes or purchasing satellite images. The next step, according to researchers, is improving this process so that maps from drones could be produced in a matter of minutes. Pritt, Mark. 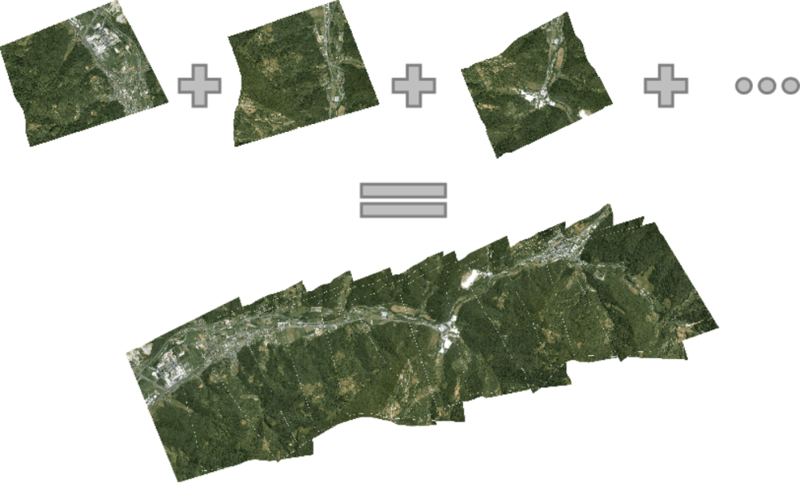 Fast Orthorectified Mosaicking of Thousands of Aerial Photographs from Small UAVs. Presentation at the 2014 IEEE Applied Imagery Pattern Recognition Workshop, October 14 – 16, 2014. You, Jia. Drones could 3D-map scores of hectares of land in just a few hours. Science. N.p., 28 Oct. 2014. Web. 14 Nov. 2014. Meo R, Roglia E, Bottino A. 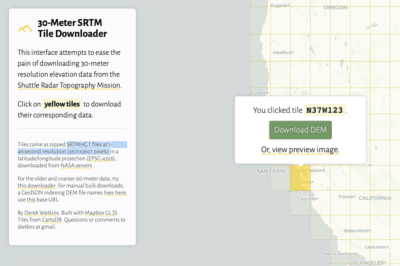 The Exploitation of Data from Remote and Human Sensors for Environment Monitoring in the SMAT Project. Sensors. 2012; 12(12):17504-17535. Yahyanejad, Saeed. 2013. 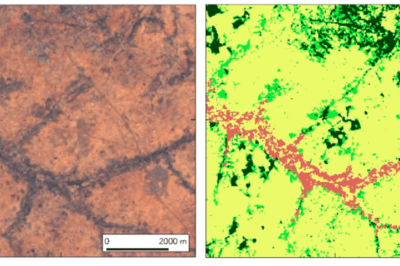 Orthorectified Mosaicking of Images from Small-scale Unmanned Aerial Vehicles (Dissertation). Alpen-Adria Universitaet, Klagenfurt, Germany.